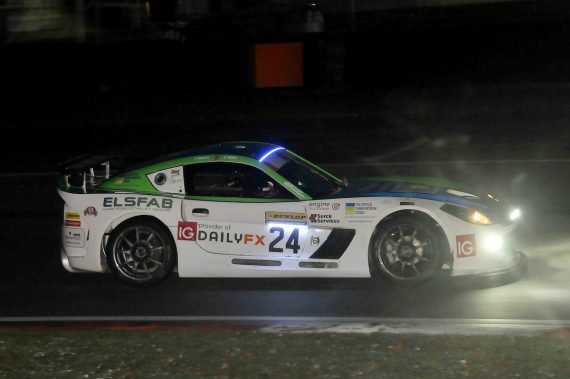 Simon Rudd has been reflecting on a truly successful 2018, which culminated in winning the GT4 class in the British Endurance Championship. Speaking to Kent Sports News about the season and what makes his partnership with Tom Barley so successful, and ultimately race and championship winning and quite the team. As season’s go it really couldn’t have got much better for Simon with 14 races and 14 podiums for on their way to the 2018 GT4 championship. He added: “Yep, we couldn’t have done much more. We delivered as drivers and the team gave us a super quick reliable car all year – it’s such a team effort and credit goes to everyone involved. At the start of the season Simon and Tom both set the target of winning the GT4 class championship and as it turned out that is exactly what they achieved. “Our aim was to win the GT4 championship. It is by far the most competitive class in the championship and we are so happy we came out on top. It was great to race close against our sister car and the x-bow throughout the season – it was good fun. Both Simon and Tom are considered their options for the 2019 season as the dust settles on the 2018 season, as they look to put their plans in place. Finally we asked Simon to look back on his season and pick out a moment that really stood out as a favourite for him. This entry was posted	on Wednesday, November 28th, 2018 at 9:00 am	and is filed under Featured, Motor Racing. You can follow any responses to this entry through the RSS 2.0 feed. Both comments and pings are currently closed.